Do you have the dead list blues? If you’ve emailed your subscribers, but nobody seems to care, your open and click through rates are abysmal and you’ve lost hope in ever achieving the incredible email marketing ROI you’ve read about, this post is for you! A dead list, meaning a list with little to no engagement, is a detriment to your business. Unfortunately, on average, 60% of a company’s email contacts are inactive. That’s a big number! At Email List Verify, our goal is to help your business thrive. 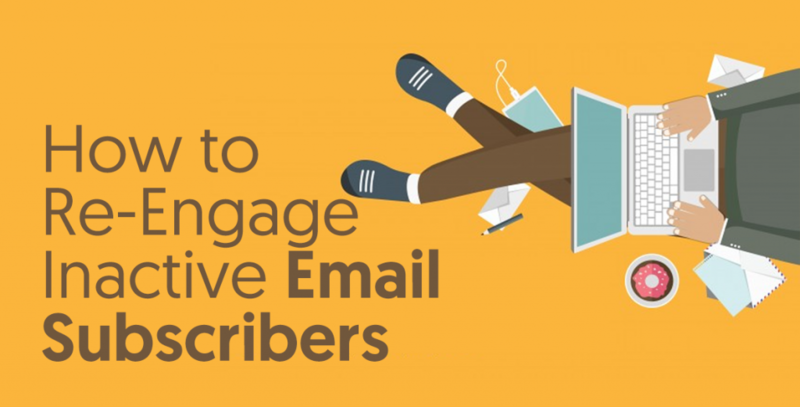 Read on and discover how to increase email engagement and build a better relationship with inactive subscribers. The first step in the revival process is the discovery phase. You need to understand exactly why subscribers have stopped engaging with your emails. Is it because you simply stopped sending them? We get it, life gets busy and sometimes email marketing takes a back seat to other company initiatives. Unfortunately, though, your customers have short attention spans and if they haven’t seen you in their inbox in a while, they may have forgotten about you. We’ll dive deep on how to re-engage your subscribers in a later section, but for now, this email template could be exactly what you need to reinvigorate the relationship with a list you haven’t emailed in a while. You’re not providing enough value in your emails. When we say “value,” we mean things your subscribers will find helpful or interesting. If your list no longer finds your emails valuable, or worse, feels like all you ever do is try and sell them your products, they’ll become disengaged. Evaluate the content you’ve sent and if it’s really what your list wants. You’re simply sending too many emails. Email marketing experts all have an opinion on the “right” emailing frequency. But you need to figure out what’s right for your business. Do your subscribers want to hear from you every day? How about once a week? Over emailing your list is a sure path to disengagement. Perhaps your email list is just full of the wrong leads. If this is the case, have a look at your lead generation tactics and discover why you’re attracting people other than your ideal customer. A change of lead magnet or different targeting parameters in your facebook ads may be necessary. To really get a clear picture of what your subscribers think of your business and the content you publish, ask them. Questions like why they signed up for your list in the first place, how often they’d like to hear from you and what kind of content they’d like to receive can give you valuable insight into the mind of your audience. Now that you’ve discovered the reason for your list’s inactivity, or at least have a few good guesses as to why, it’s time to begin the re-engagement process. That starts with list segmentation, which is just a fancy term for dividing your list into different segments or groups. This is important because not every subscriber will want the same exact experience from your brand. For example, you may have a portion of your list that is still actively engaging with each email you send. These people do not need to be “revived” and therefore should not be included in any re-engagement effort. Basic segmentation between active and inactive subscribers is essential. But if you’ve taken the time to ask your subscribers questions like we recommended in the previous section, you may be able to further segment your list based on their responses. For instance, you may have a group of people that want to hear from you on a weekly basis, while another group may feel more comfortable with an every other week arrangement. Put these people in different groups and email them accordingly. When you divide your list and offer each segment a more personalized experience, you have a much better chance of re-engaging inactive subscribers! At this point, you’ve done the legwork and discovered the cause of your list’s inactivity. You’ve then segmented your subscribers into different groups in order to personalize their experience with your brand. Great job! Now comes the fun part where you plan and launch your strategy to re-engage these inactive subscribers. The way you approach this process will ultimately depend on the reason your subscribers became disengaged in the first place. But we’ll outline a few common characteristics of every successful re-engagement effort and some specific tactics you can try using. This is the first (and perhaps only) thing your email list will see. No pressure, right? We find that, in general, the best approach is a straightforward one. Subject lines such as, “Do you still want updates from us?” and “We miss you!” get right to the point and grab the reader’s attention. Another technique worth consideration is using a subscriber’s first name in the subject line. This automatically makes an email feel more personal and personalization in email has been known to increase response by up to 14%. Remember, even your most inactive subscribers, at one time or another, were interested in the content you provided. If they weren’t, they wouldn’t have ever signed up for your list. So first determine if you’ve begun to change the content you send and whether or not that change was intentional. If your content is different, attempt to re-engage subscribers by offering the kind of content that made them interested in your business in the first place. Also, look at ways you can provide incredible value beyond the advice you share. Different ideas could include discount codes, freebies and other perks. We all love a good deal and a 20% off coupon, free e-book or access to an exclusive webinar may be just the thing to reel disinterested list members back in. Effective Calls to action (CTA’s) are clear and easily clickable. Your readers should know exactly what you want them to do and clearly see what link or button you’re directing them to. It’s also worth noting that each email should only contain 1 CTA. More than that and you’ll risk overwhelming your reader, which, more often than not, leads to less engagement. When you’ve decided on the content your re-engagement emails will contain, it’s time to structure a ”win back” campaign. In general, it’s best to keep it short; just a few quick messages that offer value and attempt to increase engagement. We mentioned it earlier, but it’s worth repeating: the way in which you’re currently interacting with your subscribers isn’t working. That’s why they’ve become inactive. So don’t be afraid to experiment with different approaches. Try different wordings and offers, test plain text vs. HTML emails, etc. You won’t know what will be most effective in luring subscribers back into your world unless you try multiple things. You’ve launched your re-engagement campaign and tried every trick in the book to win back your subscriber’s affections; emailing your list on a consistent basis with valuable information, giving them free access to exclusive content offers, adjusting your subject lines. How will anyone be able to resist your email marketing efforts now? Unfortunately, despite your valiant attempts, there will be people on your list that are simply unresponsive and nothing you do will get their attention. Don’t worry about it, this is normal. In fact, on average, only 45% of your dead leads will even open the first email you send in your re-engage campaign. Should you mourn the loss of these unresponsive subscribers? Honestly, no, you shouldn’t. If you know what’s good for you, you’ll actually just cut them loose and unsubscribe them from your list. Subscribers that have no interest in you or what you’re offering only serve to kill your open rates, cost you extra money in ESP (email service provider) fees and may even seriously harm your deliverability by marking you as spam. Better to say goodbye. First define what “inactive” means to you. Is it a subscriber who hasn’t opened an email in 6 weeks, 6 months, a year? How long are you willing to hold on to these people? You also need to classify the “status” of their inactivity. Are they more recent joinees to your list, but haven’t ever engaged with your brand? These are prime suspects for unsubscription. If they haven’t shown any signs of life within the first 4 months or so of your relationship, it’s highly unlikely they ever will. What about subscribers who’ve interacted with you in the past, but have become inactive over the last few months? Are they worth holding on to? This is a question every company needs to answer for themselves. In our opinion, this group deserves more leniency than the last; especially if they’ve spent money with your company before. Go ahead and hold on to them for a bit longer, re-engagement is still possible. But set a limit (12 months or so) and cut them loose when it’s reached. Lastly, you may have people on your list that show little to zero engagement with your emails, but still purchase products and/or services from your company. This group, while not interacting, still provides value to your business and should be given the benefit of the doubt. Perhaps just seeing your email in their inbox is enough to influence this group to buy. Or maybe they just have pictures disabled and your ESP isn’t able to track whether or not they’ve read your messages. We recommend keeping this group around; at least until they cease to provide any value to your business for an extended amount of time and it’s absolutely clear that they’re no longer interested in what you have to offer. Once you’ve evaluated the subscribers on your list and decided who’ll be sticking around and who won’t be, it’s time to let the axe fall. Consider sending one last email notifying recipients that they will be unsubscribed from your list if they do not respond or update their subscription settings. Who knows, you might get a few people to opt back in. After a few days, pull the trigger and end the relationship. Know that you did everything you could to win back their support, but in the end, a clean break is better for everybody. Hopefully by this point, you’ve run your re-engagement campaign and parted ways with inactive subscribers. 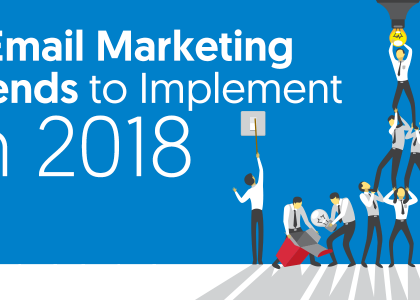 Your list is vibrant and thriving; your readers are excited to hear from you and you’re starting to see an amazing ROI on you email marketing efforts. Congratulations! But the work doesn’t stop now. In fact, it’s really just beginning. 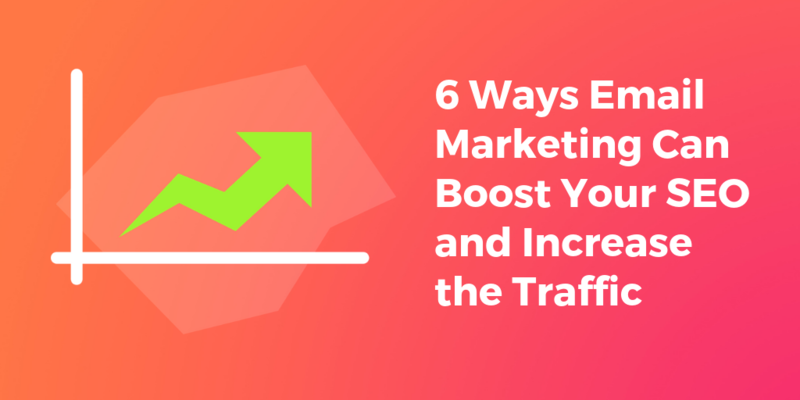 In order to avoid the frustrations of poor list engagement, you need to continually find ways to promote activity in your subscribers. Email them regularly and provide incredible value. Do what you have to do keep list members engaged and supporting your business. In conclusion, remember that the people on your list originally signed up for a reason. Meaning, at one point, you were offering something that they found valuable. It’s generally much easier to try and re-engage these people than it is to go out and find completely new subscribers. So put in the work to rebuild the relationship. Start with the discovery phase and really get a solid understanding of where things went wrong. Then launch a re-engagement campaign to try and win back their interest using the tips above. But don’t stop there; once you’ve re-captured their attention, you need to keep it by providing value on a consistent basis. Finally, realize that there will be some people who just aren’t interested in what you have to offer. And that’s ok! Let these people go and focus on the subscribers that are excited to be a part of your world. When you do this, your email marketing efforts will begin to thrive.